The awards deadline is fast approaching. If you’re dedicated to helping your clients or employer and are passionate about your career, then you could be an IAB award winner. Why not enter yourself or promote the awards to your clients or employer and suggest they nominate you? Alternatively, if you work alongside a deserving colleague then you could also nominate them. We will soon be inviting members to renew their professional membership subscription for next year. 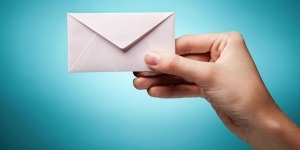 Renewal notices will be sent out in the next month, so if you have changed your postal or email address but not notified us please let us know. Your continued membership and support is highly valued and we look forward to you renewing your membership for 2019. We have arranged a further seminar covering a range of topics including: Making Tax Digital, payroll updates, automatic enrolment and much more! The seminar will take place in London on Thursday 1st November 2018 and is an excellent way to get updates for your own business and your clients or the business you are employed by. The IAB is now accepting applications and enquiries from members who are interested in joining the IAB Council. The IAB is a Company Limited by Guarantee and the Council is our Board of Directors. They are involved in key decisions about the future of the IAB and how we work to provide the best support to bookkeepers and continue to raise awareness and raise the standards of the bookkeeping profession. Elections take place at the AGM in June each year. The IAB Funder Finder engine is simple and free, using straightforward information to match SMEs with an impressive selection of finance market leaders within minutes, with funds available from £500 up to £50 million. It is a business finance comparison engine, provided by Alternative Business Funding (ABF). This article has been provided by Easy As 123. We are a new digital bookkeeping solution aimed at the self-employed (including gig workers), private landlords, and Micro-Businesses. We are looking for UK-based IAB-qualified bookkeepers to be trained to work on our software. With a newly announced line-up of unprecedented industry experts there is something for every business person serious about getting ahead in the industry at The Business Show. From motivational speakers, success stories and educational tips about getting ahead in the most competitive business environment ever, this is the show for you! Click here to register for your free tickets now, don’t miss out! A pilot for a new online VAT service has been launched, with HMRC inviting more than half a million businesses to try it ahead of new rules coming into force in April 2019. 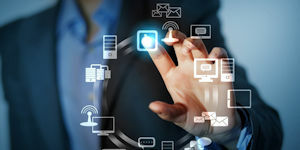 Making Tax Digital for VAT aims to make it easier for businesses to manage their tax and aims to save them, and their agents, time which can instead be devoted to maximising business opportunities, encouraging growth and fostering good financial planning. 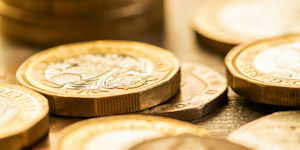 New employers are required to provide certain staff with a workplace pension and declare compliance to The Pensions Regulator. 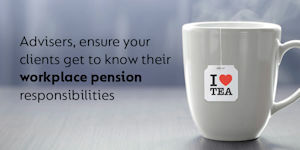 But did you know that pension responsibilities are ongoing? 90% of your clients will be fantastic. They will bring you interesting projects, they learn and adapt based on your recommendations, they teach you interesting new things and allow you to grow and challenge yourself. They may even become lifelong friends. But throughout the life of your business, you’ll come across some clients who are just… argh! They will question everything you do for them, argue incessantly, refuse to give you the information you need, undermine your work and then blame you, refuse to pay, or just do flat-out insane things. When a client becomes a bigger hassle than the money they bring in is worth to you, then it’s time to get rid of them. *Terms and conditions apply. See website for details. Discounts vary between cinema venues. Please check when purchasing vouchers, registration to The Cinema Society is required to access discount. IAB Privileges is managed and run on behalf of IAB by Parliament Hill Ltd.